In tandem with the release of Jacobs Beach: The Mob, the Garden & the Golden Age of Boxing, we take a look at the central figure in this noirish look at boxing and its underbelly in New York in the 1940s and 1950s. Mike Jacobs’s critics said he was ruthless, heartless, greedy, ill-tempered, and uncouth. His admirers said the same things but would’ve added unscrupulous and two-faced. These attributes helped make Jacobs the most powerful promoter in boxing from the mid-1930s to the late 1940s. They also earned him such nicknames as “Monopoly Mike,” “The Machiavelli of Eighth Avenue,” and many others, including some not suitable for polite discussion. If Jacobs’s predecessor, Tex Rickard, had been a larger-than-life character who’d seemed nearly as big as the events he promoted, the antisocial Jacobs was in every way the opposite. No one seemed capable of filling the void created by Rickard’s death in 1929, least of all the frumpy, dumpy, and decidedly uncharismatic Jacobs. According to legend, Jacobs was so anonymous that he was once stopped by his own security staff and denied entry to one of his own events. Jacobs, of course, liked it that way. It was just as easy to count money in the shadows as in the spotlight. The key to Jacobs’s success, many will tell you, was his willingness to gamble on a young black heavyweight named Joe Louis. At the time, most promoters wouldn’t touch a black heavyweight, but Jacobs knew the hard-punching Louis could inject the sport with some much-needed excitement. Jacobs also knew Louis could become champion, and that the man who controlled Louis would control the heavyweight division, and he who controlled the heavyweights could control boxing. Together, Louis and Jacobs made history. In a way, what Jacobs did with Louis was even more impressive than what Rickard had done with his own punching prodigy, Jack Dempsey. Rickard made truckloads of money with Dempsey during the 1920s, though Rickard was helped by a booming postwar economy, as Dempsey’s pigmentation was appealing to ticket buyers. Meanwhile, Jacobs had a black heavyweight champion during the Depression years, which would be a tough assignment for any promoter. Jacobs’s strategy was to put Louis in the ring as often as possible. Once Louis became champion in 1937, he fought constantly, knocking challengers flat while “Uncle Mike” made sure the seats were filled. All of this from a man who didn’t promote his first major boxing show until he was well past fifty. 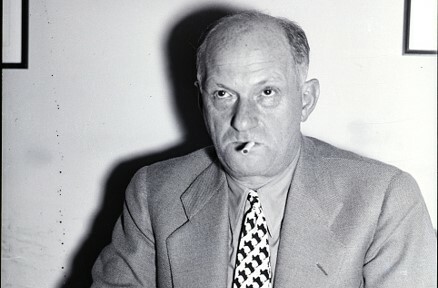 Before that, Jacobs had been in charge of ticket sales at Madison Square Garden and served as Rickard’s right-hand man. For the most part, though, Jacobs had been known in boxing circles as a glorified ticket scalper. When he became the sport’s top promoter, the competition must’ve felt absolutely bushwhacked. Time after time, Jacobs confounded the experts. His non-title bouts routinely outdrew championship bouts promoted by rivals. Some of Jacobs’s methods were, however, slightly south of respectable. In fact, many of the shady negotiating tricks pulled by more contemporary promoters were more or less perfected decades ago by Jacobs. There were few fighters he couldn’t manipulate, and no ticket price he couldn’t inflate. Now and then Jacobs came up against someone as hardnosed as himself, such as Joe Gould, the manager of heavyweight champion Jim Braddock. In exchange for giving Louis a title shot, Gould and Braddock demanded 10 percent of Jacobs’s earnings from heavyweight title fights for ten years—no matter who was fighting. This was one of the rare times Jacobs acquiesced to a manager’s demands, but Jacobs was so sure of Louis’ potential—and Gould so leery of Louis’ punch—that it was the only way to make the bout happen. Jacobs was vindicated when Louis belted Braddock out in eight rounds, though it would cost him an estimated $150,000 during the next decade. More often than not, though, Jacobs got his way. Among his many triumphs was a pair of million-dollar gates, one in 1935 with Louis against Max Baer, and another in 1938 with Louis’s second bout against Max Schmeling. Still, the advent of World War II made it unlikely that Jacobs would make another big splash. It wasn’t until the end of the war that Jacobs saw his chance. Again, he’d gamble on Louis. Back in 1941, Louis had beaten Billy Conn by a thirteenth-round KO. It had been a brilliant fight, an undeniable classic. However, with both fighters serving in the military, the inevitable rematch was stalled for years. When Louis and Conn returned to civilian life, Jacobs wasted no time and booked them for Yankee Stadium in June of 1946. 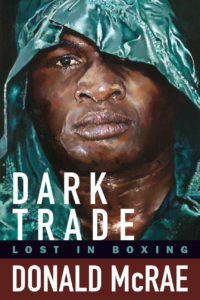 Jacobs was so certain that boxing fans would devour this fight that he priced ringside seats at an unheard of one hundred dollars. The event, he declared, could make an easy three million. The press, always divided on Jacobs, criticized him for conning the public. After all, there was no telling how the fighters would perform after so many years away. Jacobs’s hunch paid off, though; Louis-Conn II would ultimately pull in more than 45,000 customers and nearly two million dollars. Though falling short of Jacobs’s predictions, it was still the second biggest gate in boxing history to that time, surpassing all but one of Rickard’s gates. Only Dempsey-Tunney II ranked higher. The fight? Though Louis stopped Conn in the eighth, it was clear that the war years had left both fighters in serious decline. The United Press called the bout a “fiasco,” and a few disgruntled columnists demanded Jacobs be investigated for fraud. “In seven rounds,” reported Time, “hardly a solid blow landed.” Jacobs, having proved once and for all that he could take the public’s money like no man since Rickard, absorbed the bad reactions and forged ahead, unbowed.